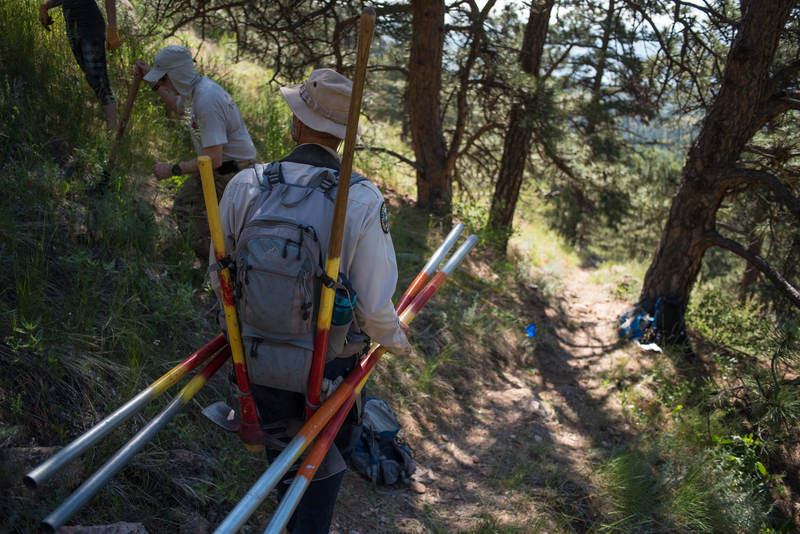 On June 9th, 2018, the NCCC in conjunction with Wildlands Restoration Volunteers (WRV), Colorado Addicted Trailbuilders Society (CATS) and Lory State Park (LSP) had a very successful trail day at Lory State Park. We started around 730am at the Solider Canyon Trailhead inside the park. 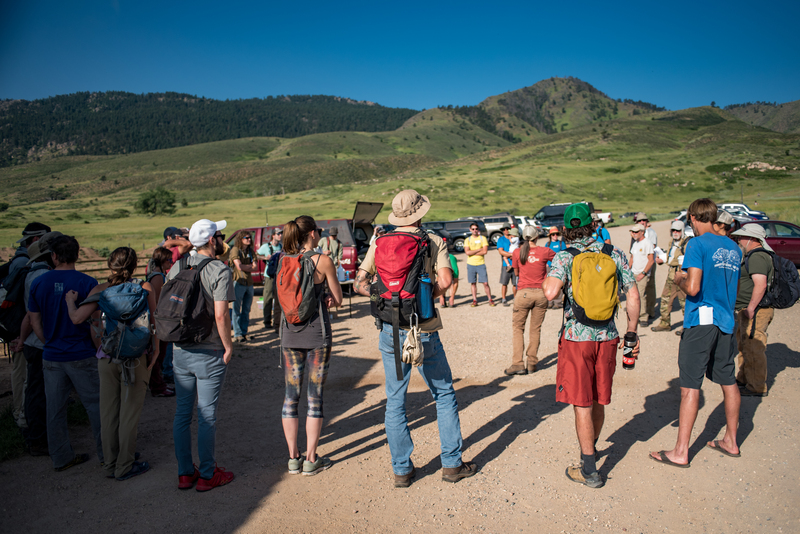 A light breakfast was provided and people got their waivers filled out and were broken up into groups with individual Trail Leaders. 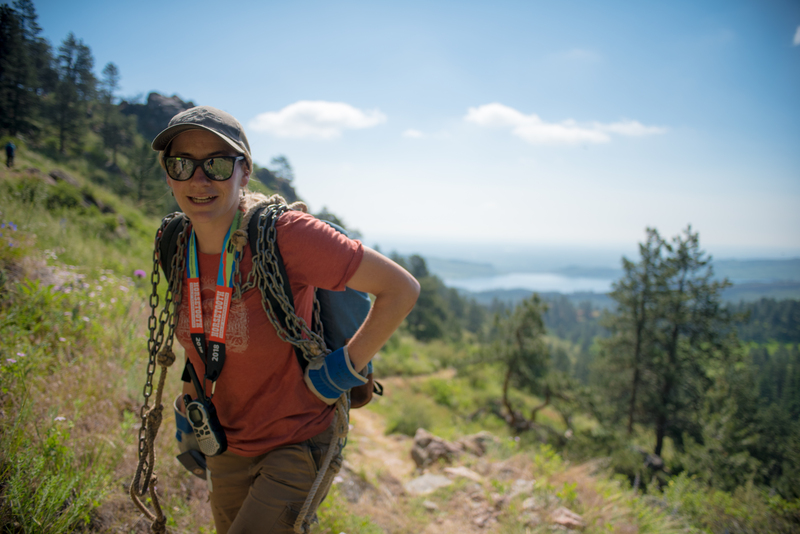 From there we all car-pooled to the Arthurs Rock Trailhead, loaded up are tools and started the 30min uphill hike to the work zone. 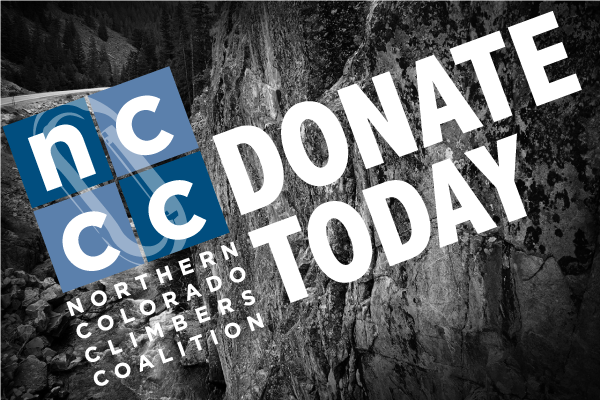 Our goal for the day was to update and revamp the Bouldering Access trail. 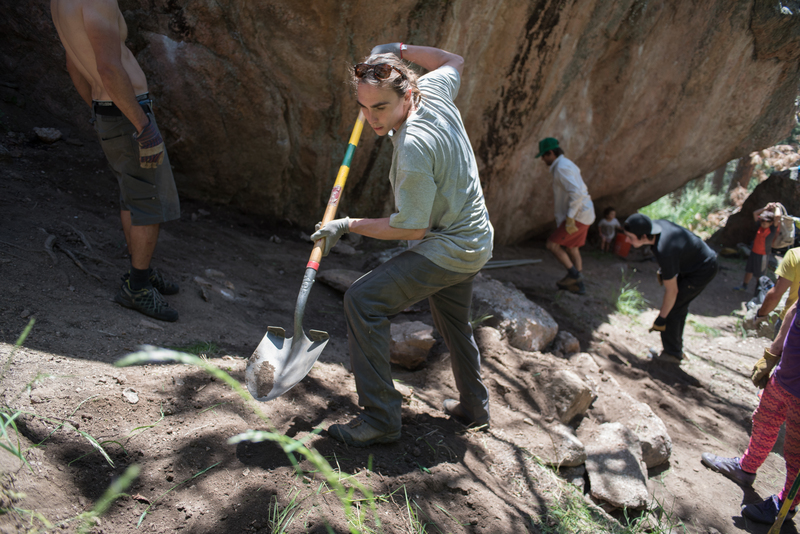 This trail provides access to the most popular boulders in the park and had become neglected. This update centered around creating new check steps and water bars to help fend off erosion from water and use in the future. 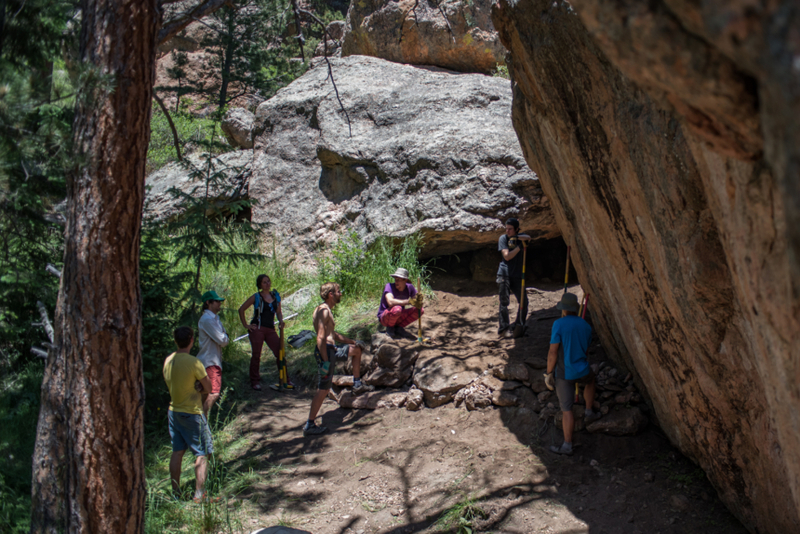 In addition to the work on the Bouldering Access trail, the group also focused on improving landing area’s for some of the most trafficked boulder problems, and pruning back the network of smaller trails climbers use to access the individual boulders. By the time the volunteers reached the work zone temperatures were already climbing into the 90’s. The heat did not deter anyone though and people kept working hard throughout the brutal afternoon sun. Cleared an incalculable amount of wood debris/slash from the hillside. By 3pm we had finished up everything we set out to do. 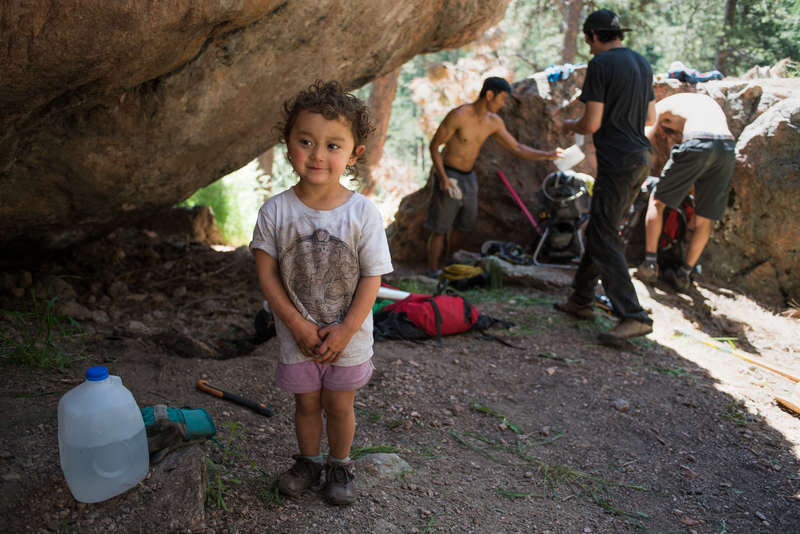 Everyone packed up all the tools and headed down for much needed cold drinks and snacks in the shade. Huge thanks go to Annemarie Fussel with WRV, Cameron Landis at LSP and Bob Johnson with CATS for all their hard work organizing the event. We look forward to working with WRV and CATS more in the future!